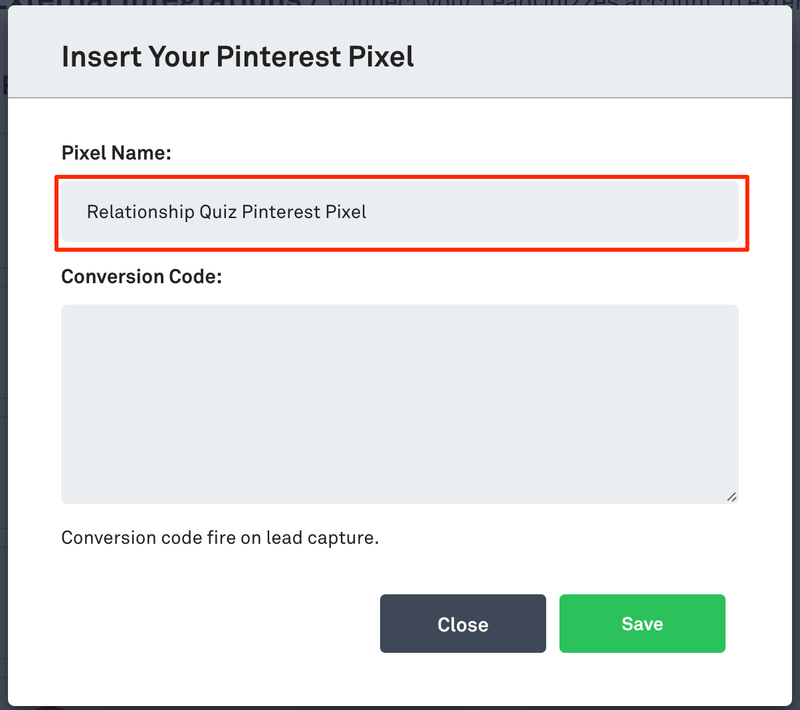 How To Insert Your Pinterest Conversion Tag Into LeadQuizzes? 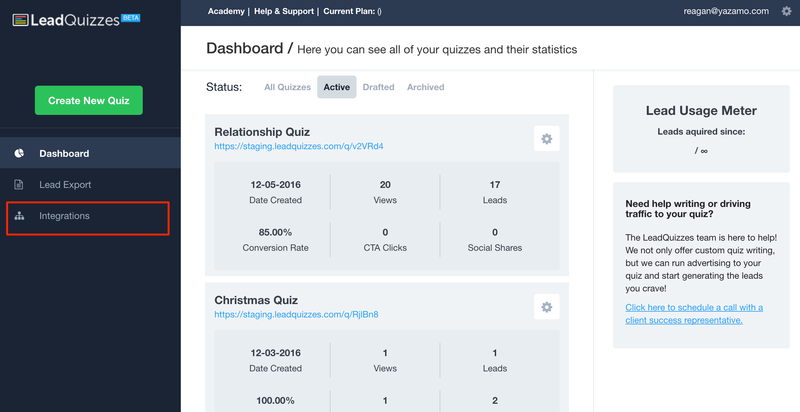 You will want to install your Pinterest Conversion Tag before running any paid Pinterest advertising so you can track performance. 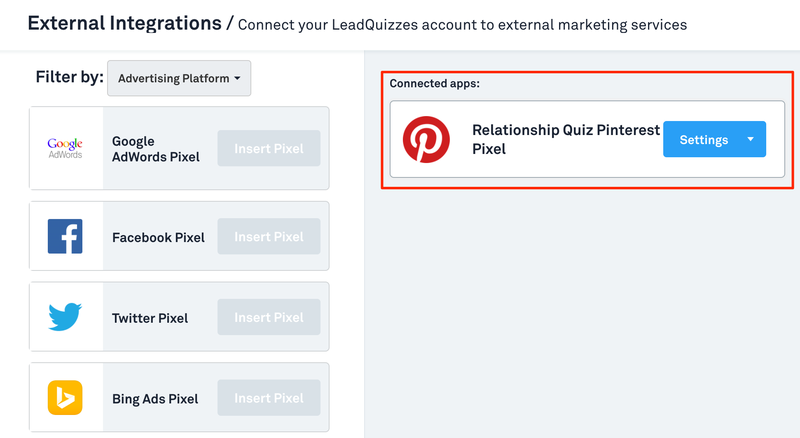 Before you launch any paid advertising to your quiz you'll want to make sure that you install and use the correct conversion pixel. 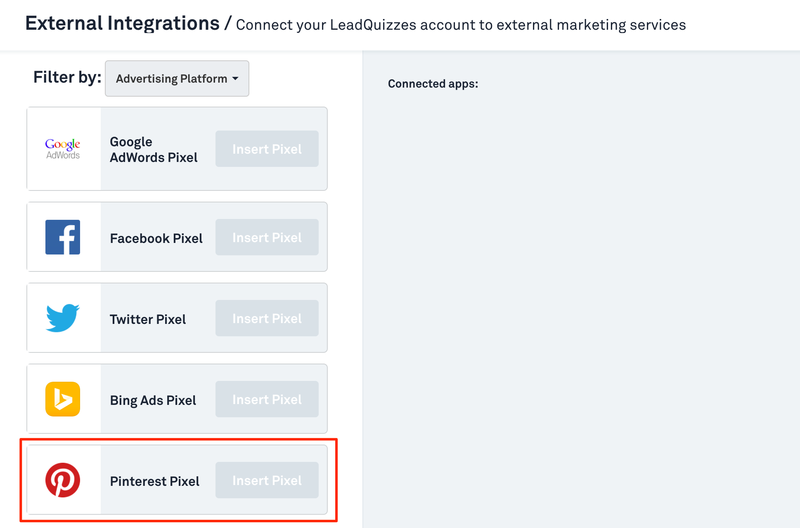 Follow the steps below to set up your Pinterest Conversion Tag with LeadQuizzes. 3. Either scroll down to the Pinterest Pixel integration on the page or change the filter to "Advertising Platforms" and then select Pinterest Pixel from the list. 6. 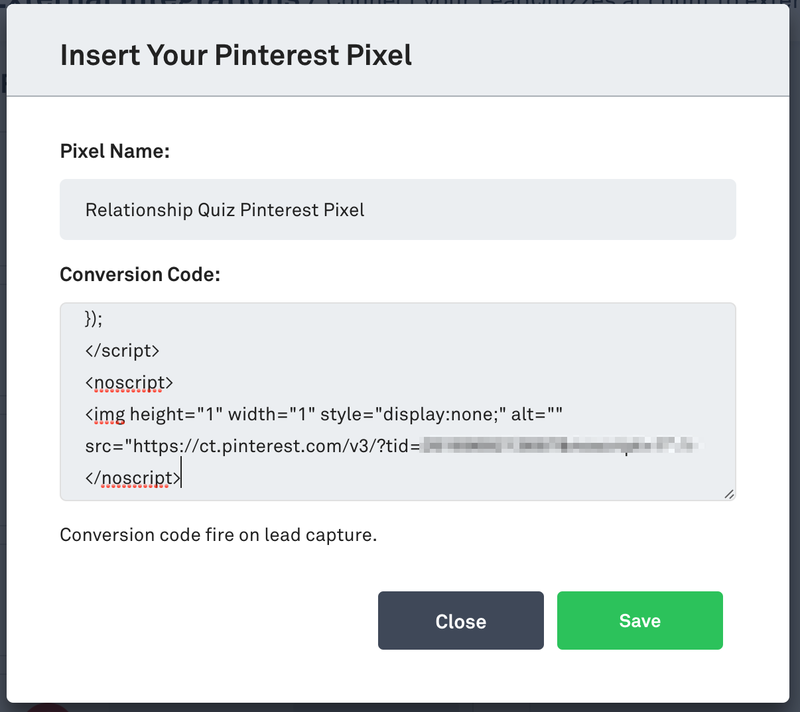 Copy and paste your entire Pinterest Conversion Tag code into the "Conversion code" section. 8. Your pixel is now inserted!